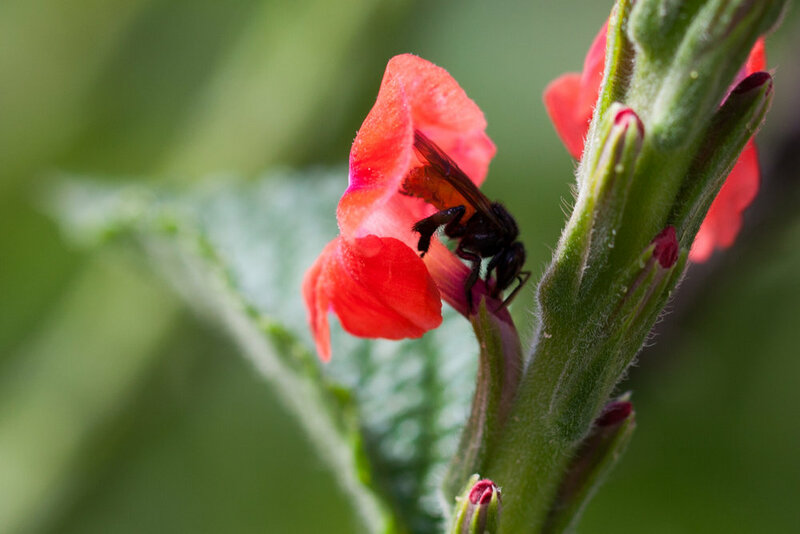 A few years back I traveled to Costa Rica to brush up on my Spanish and explore their lush forests to get acquainted with their insect and plant populations. Though a relatively small country (about the size of Vermont and New Hampshire combined), it harbors around 6 percent of the world’s biodiversity and has protected over one quarter of its land. To this day, it’s one of the most impressive places that I’ve been when it comes to what's under the canopy. Pura vida! I hadn’t made any further plans to travel back to the country, but had gotten a request last year from the organizers of Envision Festival to speak at their event, so I took that as an opportunity to do a more extensive plant and insect trip. I rented a 4x4 for the first half of the trip, which was such an efficient way to travel through the country. The hills are flushed with the vermillion poró gigante (Erythrina poeppigiana), which clearly stand out amongst the verdant setting. As I neared small villages, (which seem to pop up along the roadsides intermittently and almost unexpectedly), it was common to spot wild and cultivated bananas, plantains, and even coffee in the lower montane regions. Once I ventured into the upland forests, however, I was enveloped by the intoxicating smell of green. Every possible surface—whether it be leaf or trunk—was inhabited by moss, ephiphyte or vine. 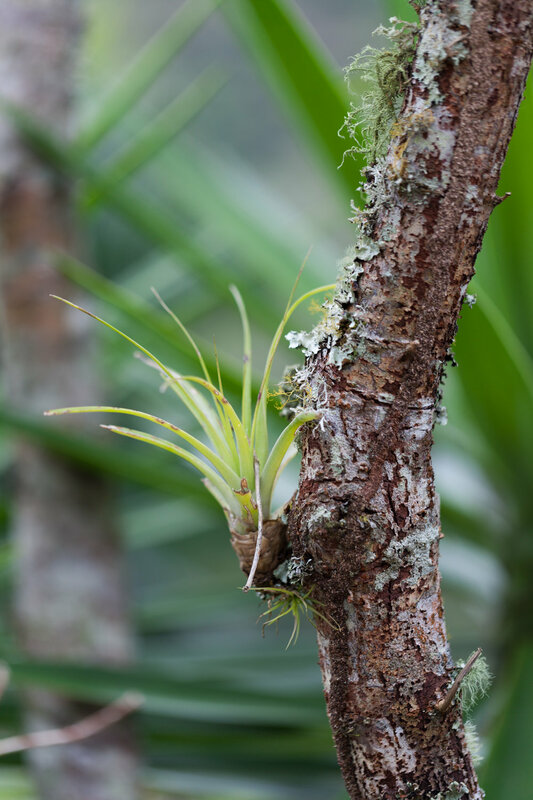 Costa Rica is particularly known for their Bromeliad and Tillandsia, with over 2,000 species of bromeliads currently documented. And the orchids, ferns, and philodendrons are also something to marvel at. 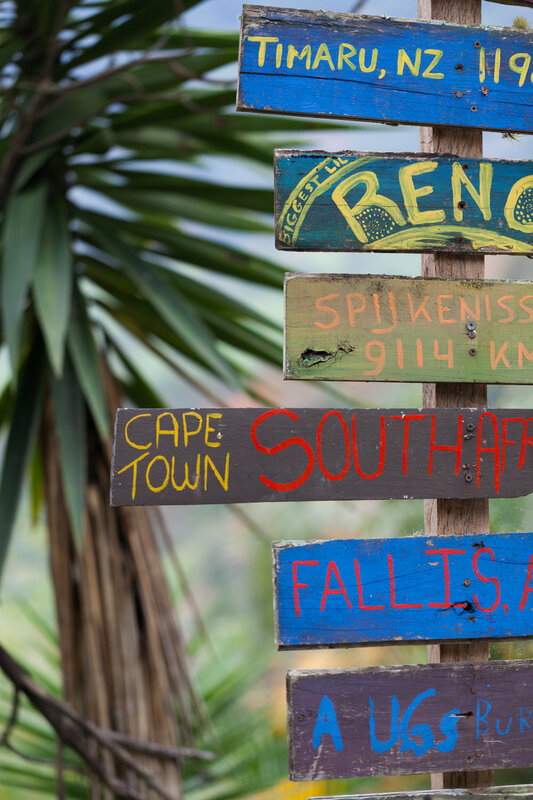 (The Lankester Botanical Gardens alone have over 800 species of orchids and a range of other plants). I typically like to head to the forest with a botanist or guide who is most familiar with the native (or introduced) plant species, but given I was ultimately going to one of the lesser known National Parks—Tapantí—there was no guide to be had. Given that I made many stops along the way, I thought it’d be wise to break up the trip into 10 posts starting with the region of Orosí in Cartago, which is where I initially started my sojourn. I’ll try to aim for around two—maybe three—new posts per week, though the frequency will depend on my schedule, as I’ll be preparing for the launch of my new book this week, which you should check out too! One of the views from the El Salto Ecolodge, which overlooks the Orosí Valley. The Montezuma oropendola (Psarocolius montezuma) has a characteristic call and beautiful nests that hang like woven baskets from the branches of various trees. 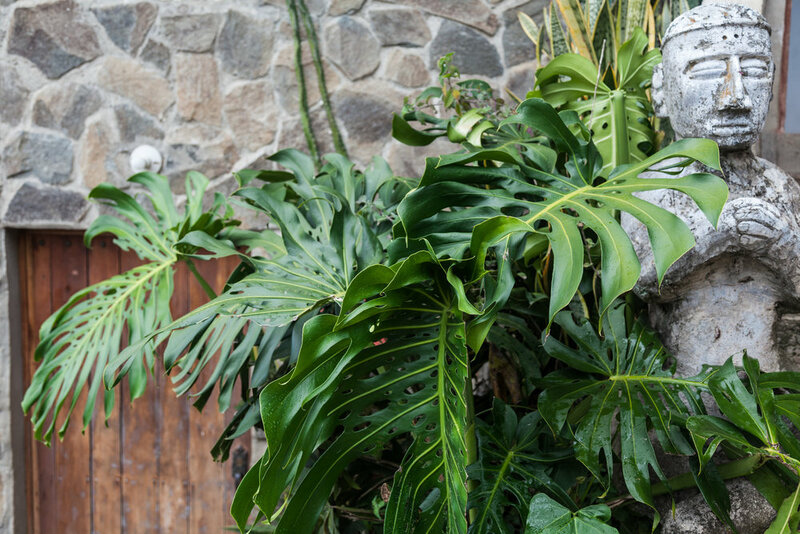 How appropriate it was to find a giant Monstera deliciosa outside my bedroom door at the lodge. 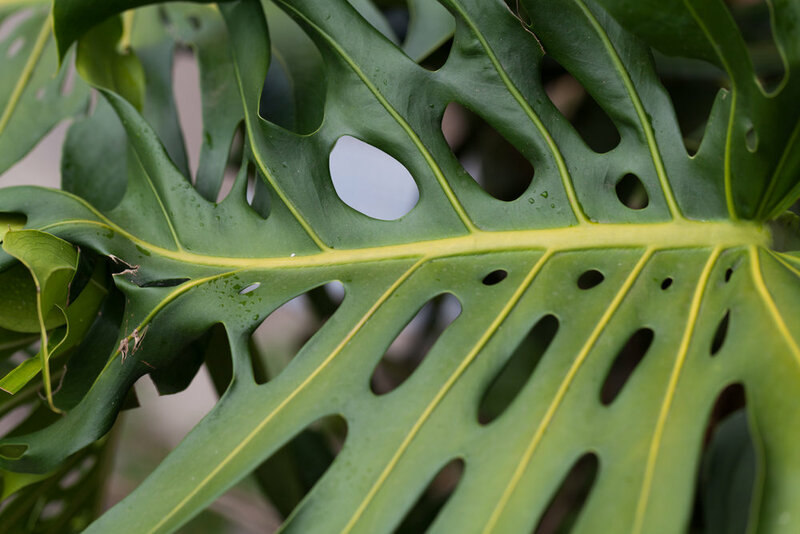 A close-up on a Monstera deliciosa leaf at the lodge. A green orchid bee (Euglossa dilemma) pollinates one of the flowers early in the morning outside El Salto Eco Lodge in Costa Rica. 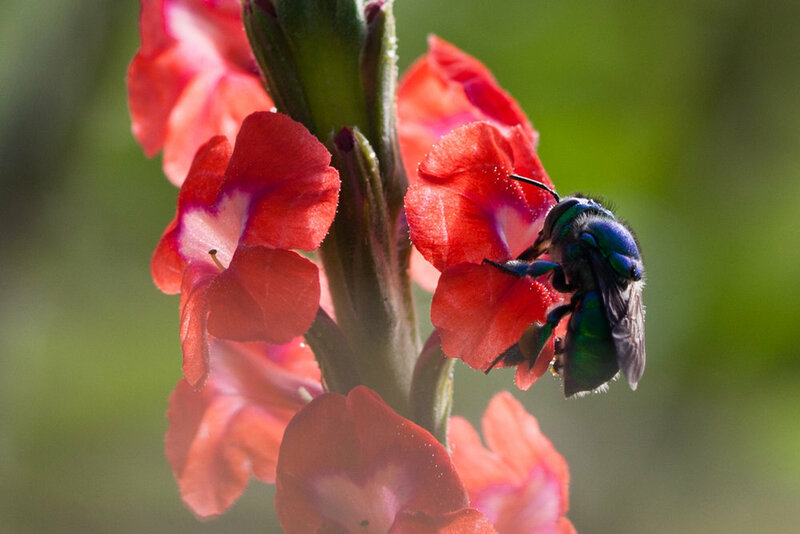 This bee appears to be creating a hole in the flower, which is known as "floral larceny", a behavior to "steal" nectar from a flower, which can unfortunately disrupt pollination. I saw this happening a few times throughout my trip in Costa Rica. Cristof, the owner of El Salto Ecolodge, took a group of us to a little known hot springs and river, which provided for two very different plant and and insect habitats. 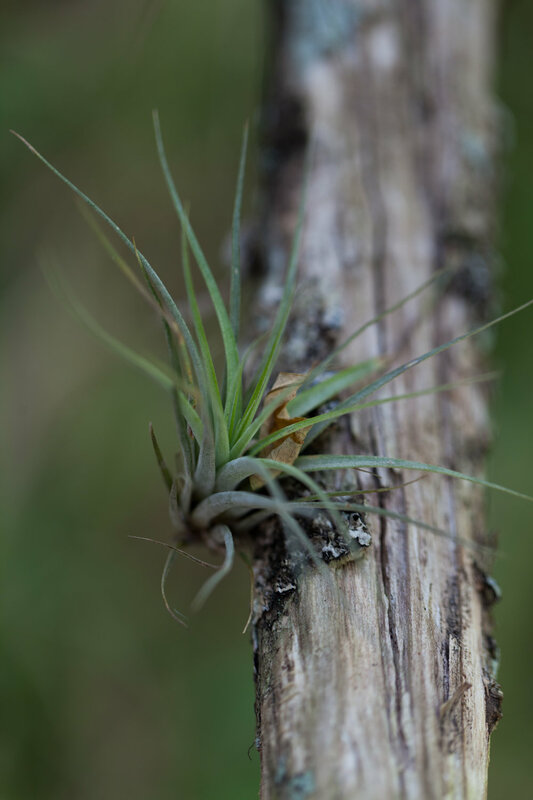 Various Tillandsia species were ubiquitous throughout the areas, some popping off new little ones from their base. Tillandsia butzii looking like the head of Medusa. As I picked up some fallen Tillandsia, a leaf-footed bug presented itself. Paper wasp nest on ground in the woods outside the hot springs. Costa Rica. I captured this beautiful spider, which looked like an exquisite butterfly chrysalis from afar. Look at the color and detail! A Peperomia sp. growing tightly against a tree near the hot springs in Costa Rica. A brown tree frog rests among some leaves outside the hot springs in Costa Rica. I was particularly drawn to the new emerging growth of this unidentified plant. If you cannot tell by the moist air and downhill walk, then you can surely tell you're approaching a river by the change of insects. Here, a mayfly, dries its wings on a tree. When near a river, I like to flip over the stones and probe to see what insects I can find. This is a caddisfly larvae, which often builds an impressive home of sticks or rocks under river stones. I think these were a type of glasswing butterfly (Dircenna sp.). It's difficult to see in this shot, but their wings were fairly see-through, which makes me think they were maybe Amber glasswings. Another Peperomia sp. clings to a mossy rock. A blue damselfly larvae rests on a tree branch near the river. A fairy-like composition of inch plants (Tradescantia sp.) and ferns. I spotted a polka dot plant (Hypoestes phyllostachya) (get the joke? 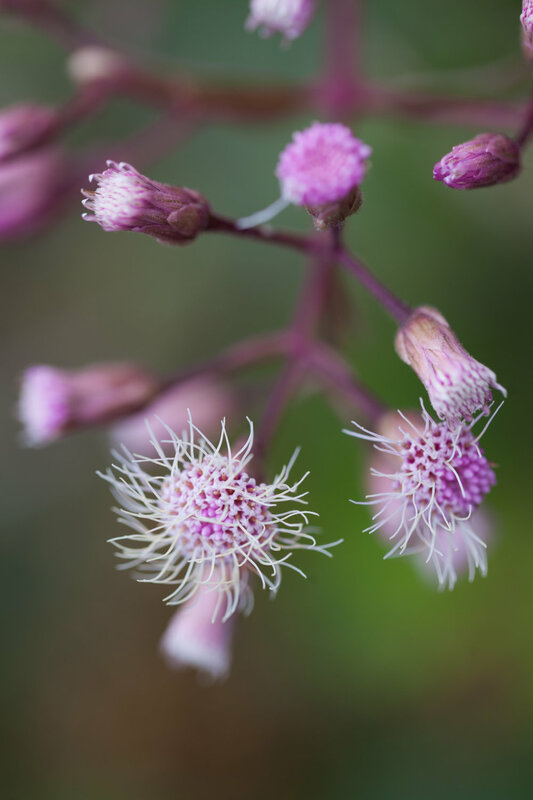 ), which seemed to be growing on a higher hilltop on the trail just north of the river. Begonias have similar flowers, and this one was no exception. A new and shiny Colocasia displays its large leaf near the riverbed. Some Peperomia hide below it's umbrella-like leaf.